The iconic annual outdoor dance music party featuring world famous DJs and artistes. Hailed as the outdoor party of the year by legions of fans, the annual ZoukOut has featured top international DJs since 2000, with each year’s line-up surpassing the last. World-renowned DJs who have helmed the decks at this outdoor dance party include Armin Van Buuren, Above & Beyond, Tiësto and David Guetta. This is an experience that’s not to be missed. Join this annual dance music festival that happens on the second weekend of December. Raved about by legions of fans as the “must-go” event of the year, ZoukOut has been held in Singapore since 2000. 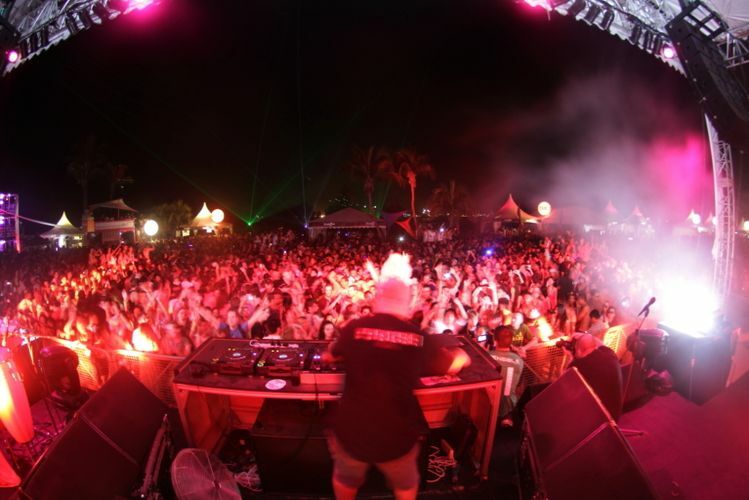 Featuring a line-up of top DJs in the international clubbing circuit every year, this party won the Singapore Tourism Board’s “Best Leisure Event Experience” award three times from 2005-2008. German DJ Paul Kalkbrenner, Siberian house DJ Nina Kraviz, Australian electro house/dubstep duo Knife Party and house DJ Maceo Plex are added to the list of names performing at this year's party. They join the already exciting host of acts like Swedish DJ Avicii, Scottish, electro artiste Calvin Harris, UK trance trio Above and Beyond, American DJ and producer Kaskade, Canadian turntablist A-Trak, Dutch trance DJ Hardwell, American producer Porter Robinson, dancehall act Major Lazer and German trance legend Paul van Dyk. Zouk resident DJs Adrian Wee, Eclipse, Ghetto, Jeremy Boon , Lincey, Ming, Hong, Formative and Aldrin will also be performing at the party. Happening for three days from 6 to 8 December 2012, this year's party is said to be the best yet from the nightlife icon with one of the strongest list of acts that span the gamut of electronic dance music. Avicii, one of last year’s headliners, will kick-start the revelry with a pre-party at Zouk on 6 December. The party then continues at Siloso Beach on 7 and 8 December.